Have run 95 miles in the Clifton 2 over the last few months. The Nike Lunar Tempo may have a big contender for my shoe of the year. Outstanding update that transforms essentially the same platform from a somewhat mushy unstable ride to a well locked down ride, even snappy ride on Hoka clouds! 0.5 oz heavier than Clifton 1 buys a lot of improvement. A snugger upper due to more and better placed overlays especially in the mid foot around the arch and... a real tongue of padded mesh behind fairly stiff leather. Clifton 2's upper is almost trail worthy in its support all around particularly mid foot to heel where there is a tighter foot opening and achilles hold. Flat, wide laces with a touch of stretch replace thinner oval ones comfortably tying the upper sides and tongue together. A robust toe bumper and thicker overlays combined with better heel hold gives more tip of toe overhead space and less slip forward. There is an additional rear lace hole for lace lock for those who need it. I used it in Clifton 1 but have had no need to use with Clifton 2 Overall width of toe box feels the same and thicker overlays upfront may rub some the wrong way, but not me so far. Fit true to size. Same flimsy insole as before...and it seems always in Hokas. Ride is slightly firmer with a touch more rebound, than even the black sole Clifton 1 whose outsole rubber was firmer than the original colored outsole. All this is great as when combined with less upper slop the ride is now more directed, reminding me, almost, of the ground feel of the... Huaka... and of the upper of the Adios Boost 1, my two top shoes of 2014. Wearing one shoe of each version side by side for 2 miles I noticed the little aches around the ankle and shins in the Clifton 1 I always seem to get but feel no such aches in the Clifton 2, so clearly more stable at the rear of the shoe and I think also not as mushy soft. My first day's runs were at very moderate slow pace. With heavier heel striking at slow paces I felt stable. My second day's run was 6.8 miles at tempo pace, around 8:13 overall with the last 1.5 miles sub 8. 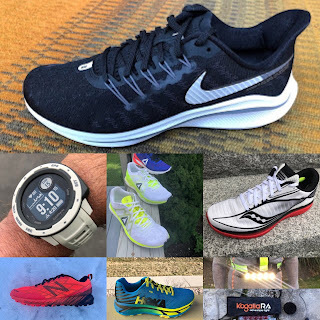 While no one could mistake the Clifton 2 for a race flat with lots of ground "feel", the new supportive upper and decently firm outsole didn't have me struggling to push through the softness of the midsole. Very smooth, easy to maintain pace and accelerate with no road shock coming to the legs. Definitely feels softer than the Huaka. Legs fresh at the end, accelerating, whereas I am pretty sure in a conventional shoe on a hot day I would have struggled to maintain pace in the last miles. There is something different in the rear rocker geometry and slightly firmer black outsole material that combined with the upper stabilizes and gets me off the heel a bit quicker and with more bounce. - Lightly padded tongue. This has been updated to add a little protection across the top of the foot, and increase overall comfort. - Increased forefoot overlays: We have increased the thickness of the forefoot TPU overlays, and repositioned them to give better foothold in the forefoot. - Molded heel counter: We have updated the heel counter to give a more precise fit in the heel. > The industry-leading ride remains unchanged, and the road-focused outsole includes slight updates to the rubber placement to improve durability. The Clifton 2 was provided to me at no charge. The opinions herein are entirely my own. 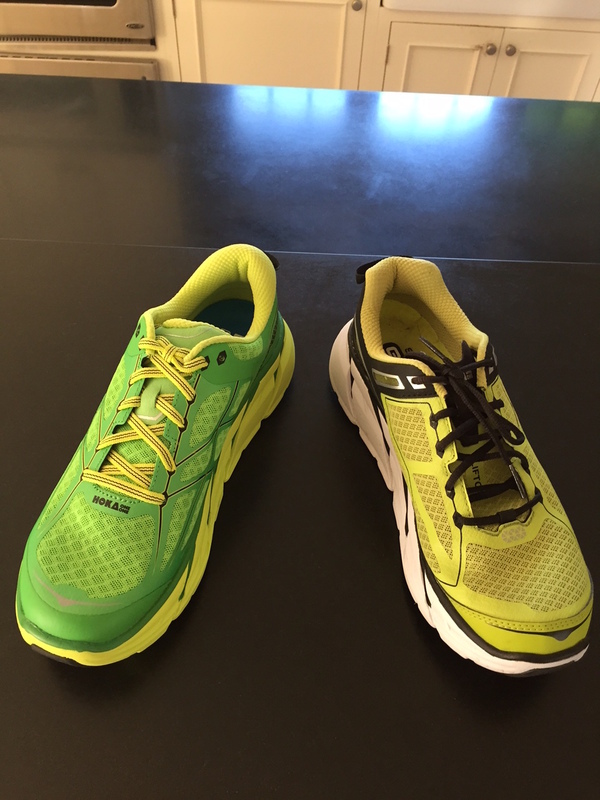 Running Warehouse has Clifton 2 available: men's here, women's here. 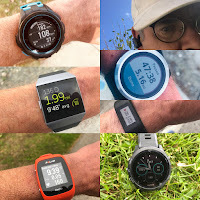 Your purchases at Running Warehouse help support my blog. Nice review so far Sam. How does the toebox compare to the Challenger ATR? Also are you finding that you need your Superfeet Carbons in these? Andrew, no need for Super Feet Carbon in Clifton 2 for me. I will be swapping the usual flimsy insole for a Skechers or Adidas more substantial one though. 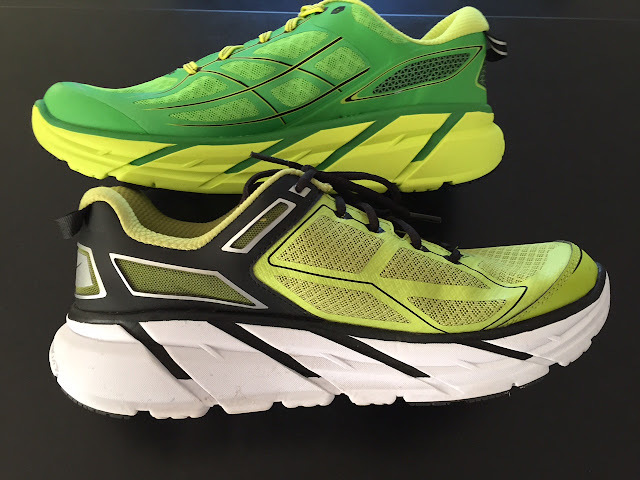 Toe boxes are very similar in terms of last when trying Chalkenger side by side with Clifton 2 but...overlays and toe bumper are far more substantial on Clifton 2, a road shoe! with overall toe box upper not as pliable so snugger by a bit. Might be an issue for some but not for me to date. By hanks for reading my blog! Wearing one shoe of each version side by side for 2 miles I noticed the little aches around the ankle and shins in the Clifton 1 I always seem to get but feel no such aches in the Clifton 2, so clearly more stable at the rear of the shoe and I think also not as mushy soft. Totally agree Hasib. Clifton2 is more stable. I used to get shin pains in the C1 and for sure the heel in the C2 is not as soft. I think that is because of harder outsole rubber and a better overall hold of the foot. Thanks for reading. I am also on FB at "roadtrailrun.com"
We are impressed by your clear description of your blog working introductions topic. Thanks for the information. Keep on writing. Thanks, about to get a pair for my next trail. topscantool thanks for good information.